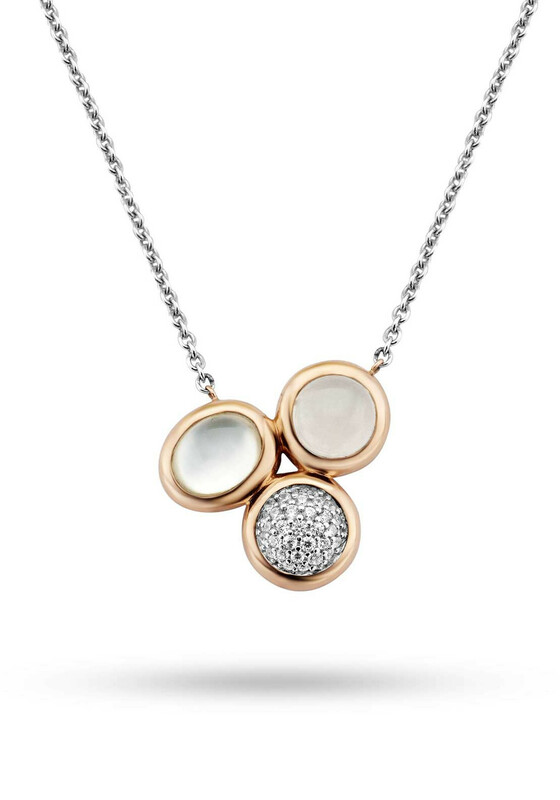 Ti Sento have designed this stunning trio necklace. The chain that the trio pendant hangs off is silver and very fine whilst the background of the pendant is a beautiful rose gold. 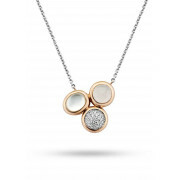 The trio elements are all different in shape, colour and style varying from silver crystal’s encrusted in one elements and a pale pink and white in the other two stones.